In this month of brand-new resolutions, it may be possible to have your chip and eat it, too. 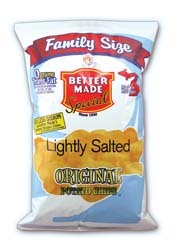 Better Made’s Lightly Salted Original Potato Chips have 50-percent less sodium than the original. The new version of the Detroit-made snack makes occasional crunching a half-guilty pleasure. Doctors who’ve prescribed less salt will approve. Information: bettermadesnackfoods.com. A kitchen counter covered in beer, wine, and vodka bottles? Must have been quite a party. Guess again. 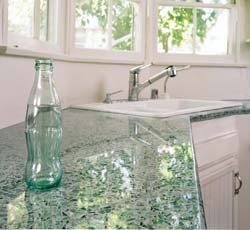 Vetrazzo, a glass counter surface eco product made from 100-percent recycled bottles produces no energy-consuming hangover in its manufacture (meaning lots of “green” LEED points). The high-glass content material (85 percent by volume) comes in a wide array of colors with a look that’s similar to terrazzo. At Ciot, Troy; 248-288-8888, ciot.com. “The Met: Live in HD” operas at movie theaters have received bravos from fans, but sometimes low-tech options are equally enticing. The latest batch of CDs in Sony Classical’s series of archival Saturday-afternoon radio broadcasts proves why. The sound precedes stereo, but who cares when you’ve got such sterling singers as Richard Tucker, Lily Pons, Roberta Peters, and Risë Stevens? 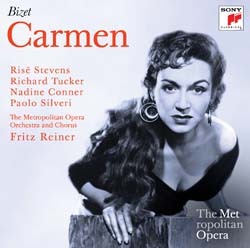 New releases are La Fille du Régiment (1940), Mignon (1945), Carmen (1952), and The Tales of Hoffmann (1955). $15.98. Craft beers are all the rage, and one created locally got high marks from our tasters. 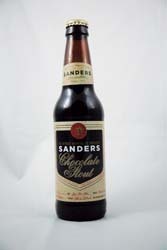 A collaboration between Sanders confectionery and the Detroit Brewing Co., Sanders Chocolate Stout is a creamy but not cloying dark-brown brew. The chocolate notes are subtle, combining well with caramel and coffee flavors. Unlike many stouts, this one has a nice, smooth finish. $8.99/six pack at Holiday Market in Royal Oak. 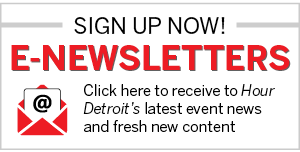 Also: Hiller’s, Whole Foods, Meijer, Nino Salvaggio, and Hollywood Markets. Consider this the next logical step in the revival of all things analog, joining such throwback darlings as vinyl records and film cameras. Although restored vintage typewriters from New York City-based Kasbah Mod are fully functional, they push just the right design buttons to write themselves into the category of smart décor. Prices vary by model; kasbahmod.com. While January’s frost may tempt you to put your feet in a fire, Hammacher Schlemmer has a less painful solution. 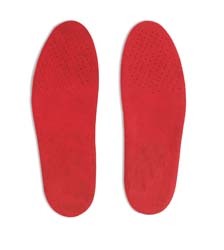 With a shock-absorbing, ergonomic polyurethane base and a layer of heat retaining synthetic fabrics, their Rechargeable Cordless Heated Insoles keep feet toasty for five hours. Oh, yeah, the half-inch insoles mold to your feet after a few hours of wear and offer a range of warmth from 88 to 106 degrees. Men’s and women’s sizes S-XL. $99.95; hammacher.com.